Holistic Personal Training encompasses the “Whole Person.” We will address postural deficits, musculo-skeletal imbalances, poor lifestyle choices, sleep patterns, food intake, conditions causing undue stress, hydration, along with many other health and fitness factors. Ever wonder what the best shape of your life looks like? With accountability, motivation, and step by step customized plans designed for your body you will know what the best shape of your life looks like because you will be there. Most of the women I work with are regular women in all different shapes, sizes, and fitness levels that just want to look and feel amazing. These are women handling many things in their crazy lives where adding in fitness and changing their eating habits can seem impossible, and this is exactly what I make possible. Body Goddess Online Personal Training programs are the perfect solution for women who want convenient affordable help reaching health and fitness goals, with a trainer dedicated to their success. All programs are custom designed by Nicole for your current fitness level and ultimate goal. No cookie cutter plans! I also consider your access to workout equipment, food preferences and needs so you can workout anywhere, anytime. Once you purchase a monthly plan you will fill out your consultation form and we will schedule your initial assessment. You will receive an email with information on how to start and access your training plan online or on your phone and how to download your training app. You will be able to follow your workouts with guided videos and instructions on the web or your phone. 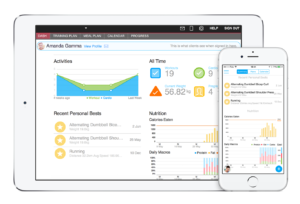 You will also be able to check exercise and body stat graphs and keep track of your progress and I will be able to follow and review your progress online. I can also update your training plan with new workouts that best fit your goals and progress. Bring your workouts to the gym, at home, outside, on vacation or anywhere you go. It’s like having a personal trainer in your pocket! Access to the support group, and access to the membership program for new workouts, exercises or articles each month. 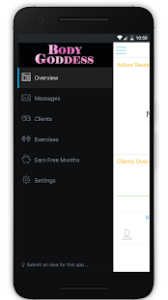 Stay on track with full access to the Body Goddess mobile app for in app messaging, notifications, and the ability to follow and track your progress anytime, anywhere on your smart phone. Pick a program that best fits your goals. If you’re looking for a basic plan with nutrition counseling, up to 3 weekly workouts and HIIT/Cardio workouts the Goddess Jumpstart is perfect. If you’re looking for all of that plus custom meal plans then Goddess Inspired is excellent or if you want everything, up to 7 weekly workouts, HIIT/Cardio Workouts, Custom meal plans, access to any additional workout program or group challenge on Body Goddess, plus all the support you could possibly need then Goddess 360 is perfect for you. Easily swap foods to further customize your meal plan without affecting the overall meal plan because you can only choose foods that are similar in nutritional value.